There is one room in my house that I will not allow others to see...my laundry room. No matter how many loads of laundry I do, there are still piles staring back at me waiting to be washed. But doing laundry has gotten a little more easy thanks to Purex Complete 3-in-1™ Laundry Sheets. Purex® Complete 3-in-1™ Laundry Sheets are a load’s worth of detergent, softener and anti-static all in one powerful sheet. You simply drop the sheet into your washer and you're done! No messy measuring of laundry detergent. When your clothes are ready to be dried, just transfer the sheet into your dryer and it serves as an anti-static, softening sheet. I was able to review the Spring Oasis scent ("A nature-inspired fragrance with fresh citrus and flowers, like a clean morning breeze.") It is heavenly! My clothes are not only clean and soft, but they smell wonderful. And I love that all I have to do is grab a sheet and throw it in the wash. It saves so much time and space. Purex Complete 3-in-1™ Laundry Sheets come in three scents and are available in two package types – a Starter Kit (1 Dispenser + 20 Laundry Sheets) and a value Refill Pouch (24 Laundry Sheets). The Starter Kit includes a refillable Dispenser that makes it simple to protect and access Purex Complete 3-in-1™ Laundry Sheets. Once you have the Dispenser, simply purchase the money-saving Refill Pouch to fill the convenient Dispenser. Thanks to Marina Maher Communications, one lucky reader of So a Blonde Walks Into a Review will win one Purex Complete 3-in-1™ Laundry Sheets starter kit as well as a refill kit. To enter, simply visit Purex Complete 3-in-1™ Laundry Sheets' website, then leave a comment here letting me know what you love most about the sheets. Be sure that there is an email address for you that I can find, or your entry will have to be disqualified. By entering, you automatically agree to all the rules and disclaimers listed here. ~Twitter with a link to this post. Then leave a separate comment here with your Twitter link for one bonus entry. ~Blog about this contest with a link to this post and to Purex Complete 3-in-1™ Laundry Sheets. Then leave five separate comments here with the link to your post for 5 bonus entries. 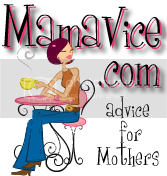 ~Follow this blog. 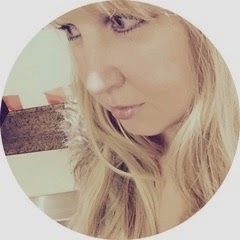 Simply click on "Follow this blog" found near the top of the sidebar to the right (under "The Blonde"). Then, leave a separate comment letting me know you are following for one bonus entry. Deadline to enter is 11:59 EST, Monday, June 15, 2009. Winner will be selected at random using Random.org. Good luck! It saves time, money and a collection of items you have to clean up afterward. What I love the most is the saving of money and time. Thanks. I love that they offer a variety of scents. What I love most is the fact of buying only one product instead of 3. I love that it sounds like it would cut back on all the products I use since the laundry sheet transfers with the clothes to the dryer to soften and remove static. How cool! I like how the heat of the dryer brings out the anti-static part of the laundry sheet! Please enter me in your fabulous prize giveaway drawing. I love that I just put the sheet in and don't have to remember to do anything else---easy and saves money! these are so great for vacations. You dont have to worry about measuring out stuff or it spilling in your bags. Its just so easy! I have a front-loading machine and I have to use the HR approved type of detergent. I love the fact that Purex Complete, comes in a HE approved type. I absolutely love that I'm saving money and SPACE by only having 1 product. I love that it is just one product!! I love how much waste it eliminates! wow how cool, i love that its all in one!! less to carry, less waste!! I like that there is a money back guarantee! 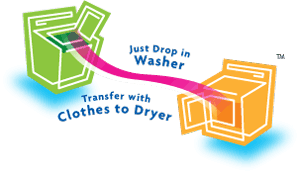 I like: Simply drop laundry sheet into washer, the detergent is released during the wash cycle. i've used these and love them - so easy and so much better for the environment!!! I love that I would not have to have so many bottles in my cupboard for laundry! I also like that they come in Refill Pouch too I didn't know that! 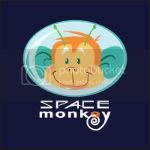 I added you to my favorites on technorati! I love the 3 scents available. I also love the idea of having one product that will both wash & soften my clothes. all-in-one and no liquid mess? would love to try it since laundry is a chore I hate and do everyday. This is my fantasy product! I love that is a 3 in 1, detergent, softener and destatic product!! It will save my back from a lot of pain! I also like that you can buy larger packages of refill sheets! I love the convenience and the time and cost savings of this. What a wonderful product! Thank you for the chance! I really love the time-saving element of this product! Yay Purex! What I love is that it reduces the clutter in my laundry closet; the Downy ball, fabric softener, dryer sheets, and detergent (not to mention other stain removers like bleach and Oxyclean) take up a lot of space. If I could replace all of these items with just one little sheet, that would make my laundry area less messy and would save me the time of having to measure everything out! I love that it saves space. I have one tiny shelf in my laundry room for all my cleaning supplies so I like products that are combined. I'd love the time and space savings, thanks. I love how it works Simply drop laundry sheet into washer, the detergent is released during the wash cycle. Once wash is complete, transfer the laundry sheet with clothes to dryer. The stripe is heat activated by the dryer to soften and remove static. It’s that simple. I like the no spills. I like the sound of the Spring Oasis fragrance! What a GREAT time-saver!! Love it. I most like that it is multiple products in one. I no longer have to use separate products. The decrease in the amount of items you have to house in the laundry room and the decrease in materials going into the landfill are the best things about them. I love that you only have to buy one product instead of three and that there's no mess, no measuring. I love most that it will be a lot easier to carry than the huge bottle of detergent I have now! I like that it takes only 1 product to clean and soften my laundry. Cuts down on the amount of supplies you have to buy! 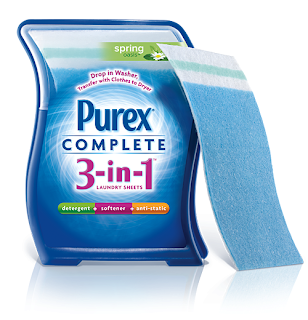 Purex® 3-in-1™ provides great cleaning performance in any temperature of water. Wow, there is so much about these that I like. My fave thing about them is tht you have less waste and it saves so much space. I love the fact that I don't have to pour detergent into my washer anymore. I was always spilling it and making a mess. Plus these take up less space and less trash for the landfill. Washing clothes can't get any easier than with these. Thanks for the giveaway... I really like the fact that Purex Complete 3-in-1 Laundry Sheets come in a "Pure & Clean" variety, 100% hypoallergenic, for family's that have individuals with sensitive skin. I like that it now comes in a pure & clean version. Buying one product instead of three appeals to me. static cling seems to be a big problem for us, so I love that this combats it! I also love the sound of the scent spring oasis. I love that you can by the refill pouches once you have the dispenser! I didn't know that! I bought some of these at Walmart the other day (haven't used them yet but looking forward to trying them) but I didn't see the refills! Cool! i like the convenience of 1 product instead of 3. I really like that Purex® Complete 3-in-1™ Laundry Sheets were developed with significant consideration to environmental impact. I like that it sounds easy and does 3 jobs in 1! I love that it consolidates the products so that saves me money! Thanks for the giveaway! I've used Purex for years. I bought these last week. I won't have to buy fabric softner sheets anymore! I like that I won't have to measure out detergent and bleach with these sheets. Please accept my entry. Thank you. I love the 3-in-1 aspect. It's really a time saver. I would love not having to measure detergent anymore. Woohoo! I love not having to lug around heavy jugs of messy detergent and a separate dryer sheet. I sure needed this when I was in college and lugging my laundry to the laundrymat. I always manage to make a mess with my detergent and this seems like it would end that. I love purex! the best part to me of this new prodct is that i dont have to buy a seperate fabric softner!!! I love that it saves money and time. It saves money and time plus there is less mess. Thanks! I love the space that Purex Complete would save in the laundry room. Purex® Complete 3-in-1™ Laundry Sheets are the trouble-free alternative to using multiple laundry products, like traditional liquids and powders. I love the convenience - less trouncing up and down the stairs. Different scents would be nice, for a change. I like that the one sheet does everything from washer to dryer. I love that you don't have to measure out detergent - what a pain! I love that it can be transferred from the washer to the dryer. That will save a lot of money. I like that it is easy and convenient! Perfect for those of us that schlep to the laundromat!! I love that you just have to take your clothes out of the washer and put them in the dryer. The dryer sheet will already be there. Thank you!! I love that it saves time and packaging. I like that it is all in one so I don't have to keep going up and down the stairs and there is a money back guarantee if you try it and don't like it. Faved in Technorati. User name willitara. I love how I can save space. I love that they come in three different scents. This one product does the job of three - who wouldn't love that? I like that they would be easy to use! I love how it make everything simple & without the mess. Plus, I think it's cheaper than buying mutil product & then having to load them in my car & then carry them up the stairs. These would be lightweight & take up less storage space too.